Barcelona – the ancient Spanish city. During its more than 2 000 years of existence it has become Barcelona from a small town in a huge political and cultural center of Spain. In this article, we chose only the most interesting facts about Barcelona. 1. 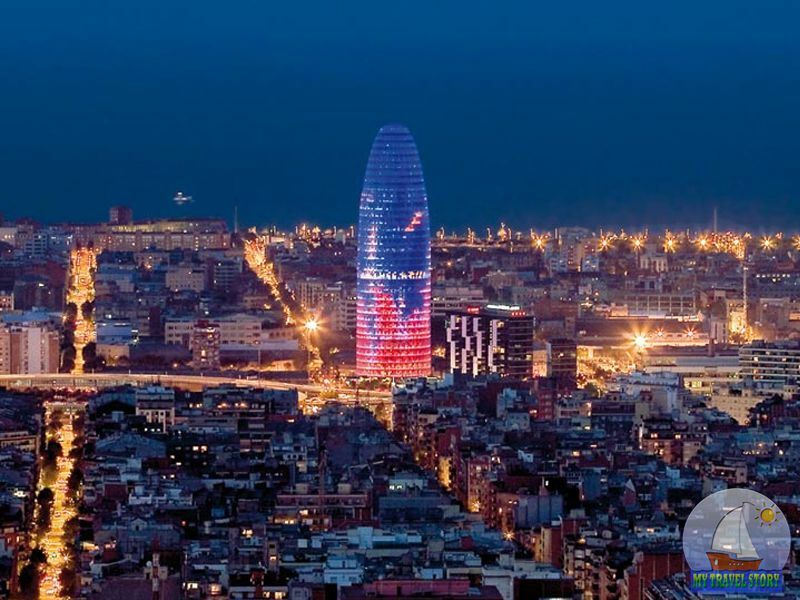 Barcelona – the most important tourist, cultural and political center of Europe. 2. The city has a population of 1 million 516 000 people. 3. Barcelona is the capital of Catalonia (Spain Autonomy). 4. Interesting fact: Barcelona takes 10 place in Europe in terms of population. 5. Drivers in the Catalan capital, considered among the worst in the world, because the accident through their own fault, occurs every 19 seconds! And at the weekend even goes up to 10 accidents per minute! These data come from the city traffic police. 7. 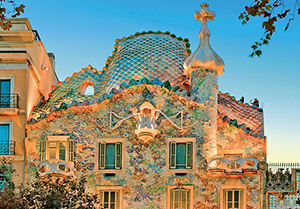 Interesting fact about Barcelona: it created the world-famous Catalan architect Antoni Gaudi. His greatest creation of the Roman Catholic Church «La Sagrada Familia» is his most ambitious and long in the life of the project. 8. Only 19 years ago, the city has its first beach! Prior to the 1992 Olympic Games in the capital of Catalonia, there was no beach. Now the general slowness of the sandy beaches of over 4.5 km. 9. Gothic Quarter (Barri Gotic) weekly draws more than 1 million. Tourists from around the world! The huge popularity of the center of the old quarter of Barcelona due to the presence of ancient sites still the era of the Roman Empire. 10. At the heart of Catalonia passes the most lively street Spain – Portal de l’Angel. Every hour it was more like 3.5 million people! 11. Interesting fact: Barcelona is on the 4th place ranking the most comfortable cities for business development in Europe. Be the first it could only Paris and Frankfurt, which took 2nd and 3rd places. In the first place – London. 12. About 300 thousand foreigners permanently live in Barcelona. 13. The population density of 16,095 people / km? 14. Barcelona Interesting fact: the official languages are Spanish and Catalan. 15. The pride of Catalonia is a famous football club “Barcelona” for the whole world. On account of multiple teams win the championship and the Cup of Spain, as well as numerous victories in the European tournaments and leagues. The highest “Barca” are achieving four victories in the Champions League! 16. 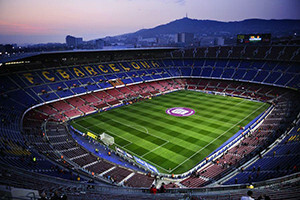 Strangely enough, but the most visited attraction in the Catalan capital is the stadium of FC “Barcelona”! It is the largest stadium in the world. Its capacity is simply amazing – 100 thousand people! 17. On the one who founded the city, conducted the centuries-old debate. The reason for all are the two legends. The first says that Hercules founded Barcelona still 400 years before the founding of Rome. The second legend says that in 133 BC the city was founded the father of the famous general Hannibal – Hamilcar Barca. These two legends are the cause of age-old disputes and discussions. 18. Interesting fact: the history of the port of Barcelona takes its countdown 2000 years ago! It is also the largest in the entire Mediterranean coast. 19. In Barcelona, there are more than 13 thousand taxis. Most of them – private. 20. In the cultural capital of Spain lived and works of internationally renowned artists: Pablo Picasso, Joan Miro, Salvador Dali, Enrique Tabara, Antonio Saura and many others. And now here they work and live Jose Carreras and Montserrat Caballe – known singers of our time. 21. Interesting fact: the song “Barcelona”, which is performed by Montserrat Caballe and Freddie Mercury, became the official anthem of the 1992 Olympics. 22. In the area of Barcelona is the largest city park in Spain Montjuic. Its area is so large (203 ha), he joined the list of giant parks in Europe. In this article you will learn a lot of interesting information about Barcelona. 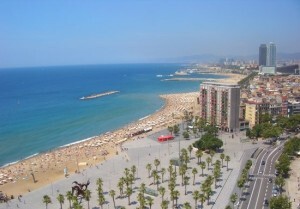 Do not miss the interesting facts about Barcelona only on o-travels.com site.